The Philips AC4372 is the flagship air purifier model for Philips. At nearly Rs 50,000 in the stores, it’s one of the more expensive air purifiers in the market. In this Philips AC4372 we wanted to find out whether the model lived up to its high price tag. The AC4372 is one of six air purifiers available from Philips. The company is one of the leading providers of air purifiers not just in India but in China as well, where the awareness of breathing toxic air is even higher. All Philips’ air purifiers come with a robust two year warranty. 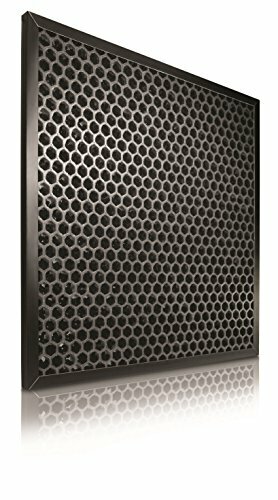 Don’t forget to check out our free air purifier buyers guide so that you can learn everything you need to know about buying an air purifier. We did find the AC4372 for a cheaper price on the internet. Click the button below to find the best price that we found – far cheaper than in the shops! We believe that the design of the Philips air purifiers are one of the more attractive options in the market. The Panasonic and Sharp models just don’t look as good. The AC4372 is no different either, it’s a very good looking model that will look good in any home. Size wise, the unit is 81cm tall and 44cm wide so while it’s not huge, it’s not small either. It weighs around 7.5kg so it’s just about portable enough to be carried around to different rooms. The video below gives you a better idea of the size and also how to replace the filters. The AC4372 consumes upto 48 watts on the highest power setting. This is about as much as an incandescent bulb so you can safely leave it running for a long time without worrying too much about your power bill skyrocketing. (For comparison, an air conditioning unit can consume 1400 watts or more). At 48 watts, the unit is a little more power hungry than other Philips models but this gets you a stronger fan which means the AC4372 can cleanse a much larger area and in a faster time. Philips reports that the air purifying unit can effectively clean an area of 750 square feet, which makes it ideal for the larger rooms in your home. For smaller rooms, the Philips AC4012 is more suitable. Due to a stronger fan, when the air purifier is on its maximum setting it is quite audible, producing 65 decibels of noise. The other air purifiers by Philips are much quieter but clean a smaller area and much slower. Even though the AC4372 can cover the size of a small home, air purifiers work best in individual rooms. This is because it relies on air circulation to pass the polluted air through the filters. The fan isn’t strong enough to draw air from other rooms, so although the coverage is 750 sq ft, that works best in a single room like the living room, lounge or dining room. Like the AC4014 and AC4072, this model also has indicator lights that tell you the amount of pollution in your home. When it glows purple then you know the quality of the air is very bad. This small feature makes the Philips air purifiers all the more user and house friendly. There’s also a light indicator to let you know when the filters need to be changed. Purifying wise, the AC4372 has everything covered. It has pre-filters which means the HEPA filters last for longer and more toxins are cleaned from the air. The unit also cleans particles down to PM2.5 which are some of the most damaging types of particles to human health. What’s the difference between the AC4372 and AC4072? On paper the Philips AC4072 and the AC4372 look very similar but just with a Rs 10,000 price difference. So what are you getting for that extra Rs 10,000 if you buy the AC4372? Essentially it’s coverage, efficiency and speed. The AC4372’s coverage is 28% more than the AC4072. At the same time, the speed at which it cleanses this area is 7% faster. It does all this without drawing any more power so the day to day running costs are going to be very similar. In terms of the particles is removes and cleansing ability, it’s the same. 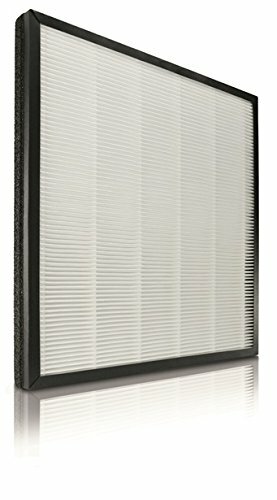 The filters in the Philips AC4372 can last upto two years under normal use. Filters can be easily purchased from the Philips showrooms available in most cities. Click here to find your nearest Philips showroom. How Much Does The AC4372 Cost in India? 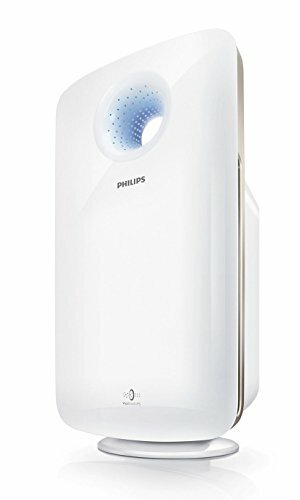 The retail cost of the Philips AC4372 air purifier is around Rs 50,000. If you visit your nearest appliance showroom, that’s how much you can expect to pay. The model is a bit cheaper if you purchase it online from Philips but after researching the cheapest place we found it was at this popular ecommerce website – about Rs 10,000 cheaper in fact! At the time of writing the AC4372 is available to purchase here for Rs 42,300 which is a 16% discount on the MRP. Can this clean entire apartment or does you need to buy one for each room?